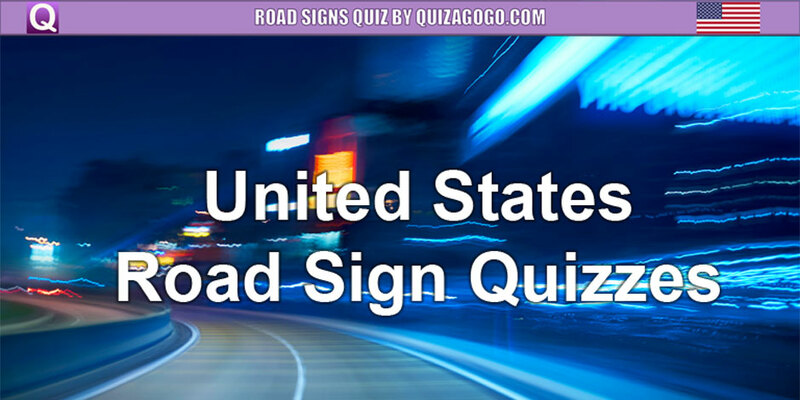 Road sign quizzes are perfect for learning the road sign part of your State’s written knowledge test for a learner’s permit or full driver’s license. Flip through your State’s Driver’s Manual or Driver Handbook and you will find about 50 traffic signs (perhaps even more) that you should learn before attempting the DMV test. Signs are generally categorized as guide, warning, or regulatory signs. Each has significant shapes and colors to help you recognize them from a distance. Studies show that first-time test takers often fail because of too many errors on the signs part of their permit test. Meaning, it is a good idea to study highways signs carefully and not just assume that it is all common sense. We hope that these online quizzes and YouTube videos can help. We have also made several quizzes available on YouTube. Perfect for laid-back studies. This quiz will help you prepare for a DMV test, regardless of your home state. More California highways signs to help with your CA knowledge test. 10 additional questions that may show up on your official exam. Get more Texas road sign questions in this video. Texas road signs that are an important part of your DPS written test. This Florida road sign video has 15 road sign questions from the Florida official handbook. Take a first step towards your IN learner’s permit today. Sit back, relax, and watch the video.